We aim to pool and exchange the latest developments on the management of weeds, pests and pathogens of plants in New Zealand. Membership is open to groups and individuals with an interest in all aspects of biology and ecology in agriculture, horticulture, forestry, natural ecosystems and as relates to biosecurity.|The best scientific, government and commercial organisations in New Zealand report on the latest findings on pests, pathogens and weeds in pastures, cropping, horticulture, vegetables, forestry and natural ecosystems, as well as plant border biosecurity issues which may impact on New Zealand’s economy and environment.|We hold an annual conference to present the latest research. We publish books and a scientific journal. We also administer various trust funds and awards to encourage young and experienced plant protection scientists and help them promote their science in New Zealand and throughout the world. 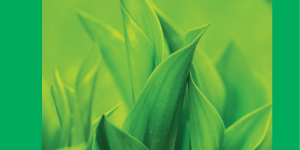 Remember to submit your paper abstracts for Volume 72 of New Zealand Plant Protection by 15 February 2019.